Technology can get horrific. 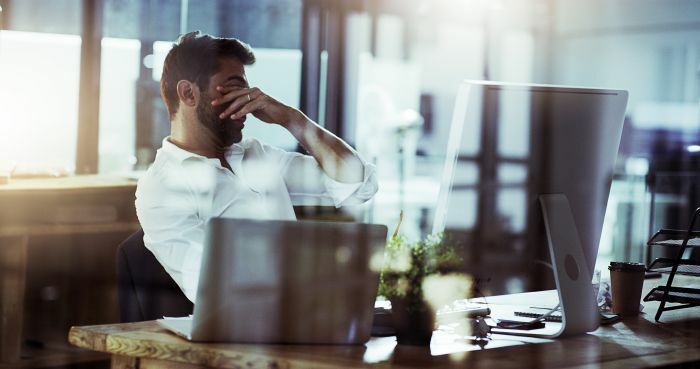 Failing hardware, poor planning, or unreliable users—whatever your IT-phobia might be, here are several scenarios that you would not want to be stuck in. We’ve compiled our favorite IT horror stories from discussion boards around the web. They’re sure to make you laugh, cry, retch, and shudder in fear. If you’re so inclined, we’d love it if you shared your favorite tales from the server room in the comments section! Back in the early 2000s, we were testing a new Jabber implementation at a new office. We were demoing a client called Pandion and it had a nickname feature that many clients lacked at the time. Long story short, I temporarily added the nickname “Snake” to my own user since that happened to be the random icon Pandion decided to put next to my name. I come to the conclusion that nicknames are only local, so I remove the nickname and we end up deploying this company-wide a week later. Let’s fast forward a few months and the entire company—I believe we were the second largest transaction processor in the world back then—is using this service. I’m the lead systems engineer at the time, so my interactions are primarily with the rest of the tech team, but also C-level execs and directors. I notice on an email chain, the COO is introducing me via email to a new exec. While providing my contact info at the bottom, he includes the tidbit “Whatever you need, Snake will make sure you’re taken care of“. I’m slightly confused by this, so I mention it to a co-worker and he informs me that since my chat name is Snake, that’s what other departments have been referring to me as. So yeah, not only was my chat name displaying to the entire company as Snake (in an extremely formal finance company, mind you), but everyone thought it was intentional, so they never said anything and just went with it. Back in the ’90s, I worked for a consulting company. We were all W2 employees with full benefits and a lot of PTO time. We were all issued company ThinkPads and given Earthlink accounts to dial in and get Internet. When we were sent to a client site, one of the arrangements made for us was to make sure that we had a POTS line, so we could dial into Earthlink and then get to our corporate email. We liked to “share the knowledge” back then, so we have various distribution lists set up such as the “Windows Server Distribution List,” “Novell Distribution List,” “Lotus Distribution List,” “Exchange Distribution List,” etc. If you were at a client site and had a problem, you could shoot an email to the list and people in the company who were on the distribution lists could respond with help. Well, as the ‘90s progressed, Microsoft forced us to break our partnership deal with Lotus, Oracle and bunch of other companies. Our various distribution lists eventually got consolidated down to the “Microsoft Distribution List” and the “Novell Distribution List.” The Microsoft Distribution list probably had about 90% of the company, since at one point we were told there would be no future for us after 1999, if we didn’t get our MCSE certification. So we all went out and got our MCSE. At one point, Microsoft found out that we had met with RedHat, because they were just spinning up their RHCE certification, and they sent someone over to meet with us in person and threaten to yank our MSP status if we talked to RedHat again. Then about an hour later, I get all these recall notices in my Inbox. Five minutes later I get an apology email from the guy, where he proceeds to explain (like an idiot), that he had a personal email list for his friends at work and he accidentally added the Microsoft Distribution List to that personal email list. I was working midnights, only one in the DC. Out of nowhere, we lose building power. That’s pretty odd as we’re in a telco hotel with supposedly the top-rated redundancies in place, fed off two different grids, with on-demand generators. Ok, no biggie. DC is running off the giant UPSes, everything internal (workstations, ticket system, PBX) is running off UPSes in the office. I’m just without lights for the most part. They’ll figure this out in a few minutes. I get in touch with the building guys, and they say [power provider] messed up and cut a cable, and our ATS failed to switch over to secondary or even generator power for whatever reason. Emergency techs are en route. This was all found out around 20 minutes after the initial outage. We estimated our DC UPSes would keep everything running for around 30 mins based on our draw, and the office would run for about an hour. So there I am with a friggin’ doomsday clock set to 10 minutes. I think, “this is going to be the worst night of my life. I’m going to go have a cig before this gets started.” I head out of the office, take the stairs down 10 flights, go outside and smoke. I get back upstairs and realize my massive screw-up. Our security system is set to allow emergency egress, but not ingress. I’m now locked out of the office. I hadn’t even called anybody at this point, there was nothing they could do to help, and I was hoping the building would miraculously get it fixed before the UPSes died and nobody had to be woken up. So I’m sitting outside the front door and the inevitable happens. The whole DC slowly powers off, but the office is still up. The network monitor is still up and chimes every time a service ping fails, and it starts singing. Then the phones light up and it’s a cacophony behind that door. I finally call the CEO and let him know what happened. He is on the way immediately and calls some others. They all get there around the same time, just to find that I had taken the front office door off the hinges to get back in, the office UPSes were dead and the office was completely dark, with the exception of my desk, where I had ran an extension cord from an unused, personal-sized UPS from HR to a string of Christmas lights around me. My friend used to work for a local small ISP back in the dialup days. He told me a story once. He was troubleshooting a network issue for a remote area in GA I want to say. They had their DNS server go offline for that area. He sent a contractor tech out seeing the company was based in Orlando and they bought out that company or something. The tech calls him and said he was at the location the server was at. The server was in the basement. The tech said he was at the basement door but the basement had water in it and the tech didn’t want to go in. After some back and forth, my friend got the tech to go in the water. The water was only keep deep. The tech reported the server was floating in the water, it wasn’t under water as my friend had feared. My wife works for a Fortune 500 company and she is on the business/marketing side of the house (although it is on the business side, it relates to mostly Cisco products). She was recently giving a presentation about getting girls and young women involved in programming and computer science in general. She mentioned the Python programming language and how there are a lot of resources for beginners. There were two members of her company’s IT staff in the meeting that called her out during the meeting in front of everyone saying how Python is a dead language and no one really uses it anymore. Basically trying to embarrass her for no good reason. When she got home she told me what happened and I was pretty mad about the whole thing and re-assured her that they didn’t know what they were talking about. This is AI. You don’t have control. I work in a tech business start up that is specialised in creating integrated chat-bots that work on Facebook and other surfaces (such as google homes). We use Natural Language Processing (a form of AI) to make the bots humanistic. In the beta testing of our new bot that is designed to comfort people suffering from substance misuse and encourage them to seek help we provided it to one of my friends. “Is there anything you want to say about the test?” I asked. What are your IT horror stories? We’d love it if you shared your favorite tales from the server room in the comments section! Horror movies are a fun break from reality, but unfortunately the same cannot be said of IT horrors. Those can result in some very real headaches.